Kyra Two Tone Nursing Dress NOW 80% OFF! 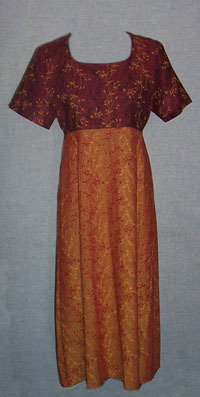 Special Feature: This nursing dress is all one piece with a tie back belt. It has a very dressy oriental look. The two tones are a brown and a rust orange in color. There are a few which are all rust orange in color. Washing Instructions: Machine wash gentle cycle cold, line dry. Colors: Two tone brown and rust orange with oriental flower and stems.